All research is more or less clearly based on a research question, an aim and/or a purpose. This research note tries to identify what characteristics research intention in papers that have a high citation have in common. 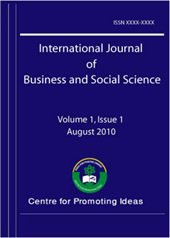 The 25 most cited papers published in Accounting, Organization and Society from 2007 until spring 2012 were chosen and analysed. The result shows that if one concept was studied it was from a more descriptive perspective while if two or more concepts were studied their relations was in focus. It also showed that specific words were used to signal ambition and intention. As a conclusion, in this paper basic questions with a normative character have been formulated with a purpose of helping authors in their initial struggle with the research problem. It was also recognized that in the majority of the studied papers there were no clear research question but rather a focus on arguing for an aim or a purpose.